SmartVent addresses the issue of trying to ventilate a unit that is sealed by a firewall. 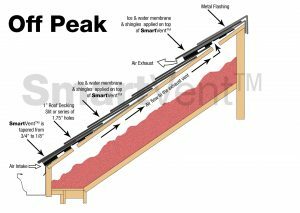 In normal conditions a ridge vent would be ideal, but when you need to ventilate without breaching the firewall, you need SmartVent. 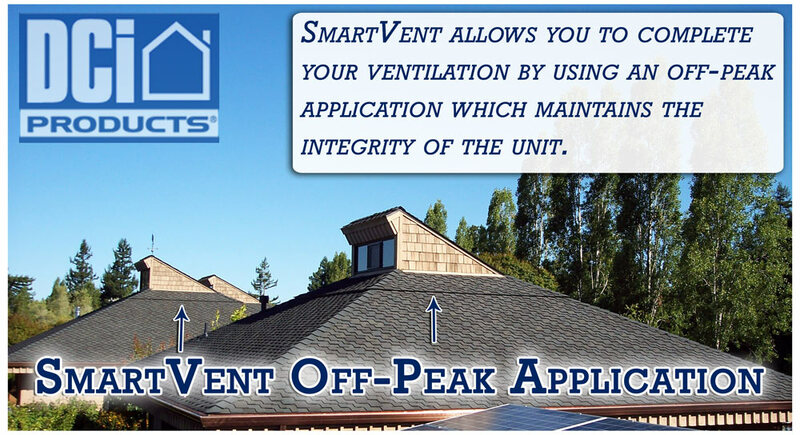 SmartVent allows you to complete your ventilation by using an off-peak application which maintains the integrity of the unit. To provide perfect balance in your ventilation system SmartVent should be used as both intake and exhaust providing an optimum 9NFA/ft on each side. order to work properly. 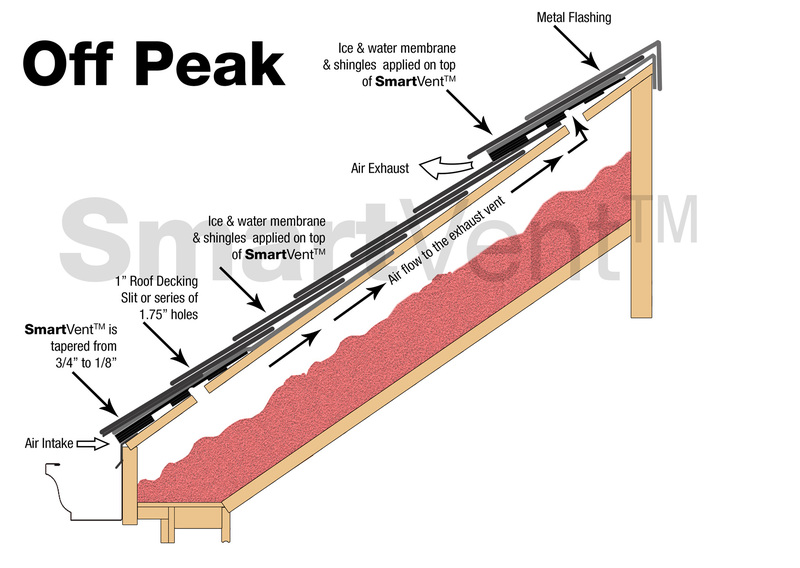 SmartVent, when used at both soffits, has a total NFA rating of 18 sq. in. per foot(or 9 sq. in. per foot on each side of a standard gable roof).